Comcast not up to speed. 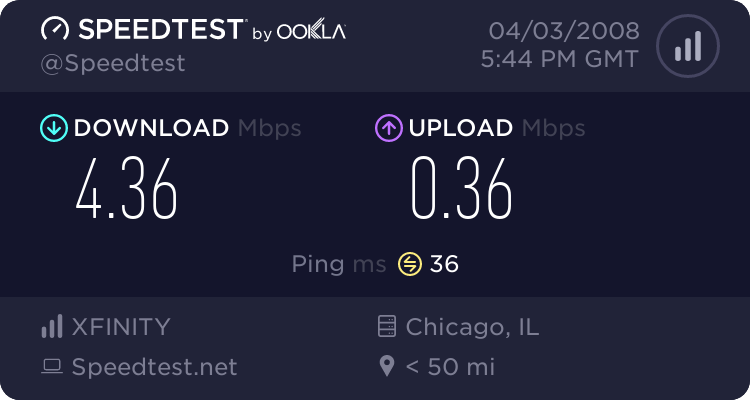 Comcast Ultra Service is supposed to be 22 Mb/s download. Today it is less than 5 Mb/s … Check your own .. click on the graphic. Published Tuesday April 14 2009 9:26 pm. Lag time knocking on the door of websites seemed a little slow, but numbers look pretty good. What is Speedtest.net? 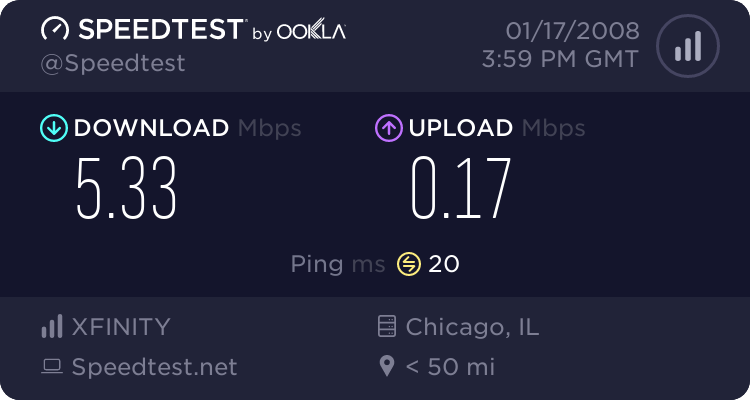 Use Speedtest.net to test the speed of your Internet connection. See if you are getting what you pay for or share your results with others! 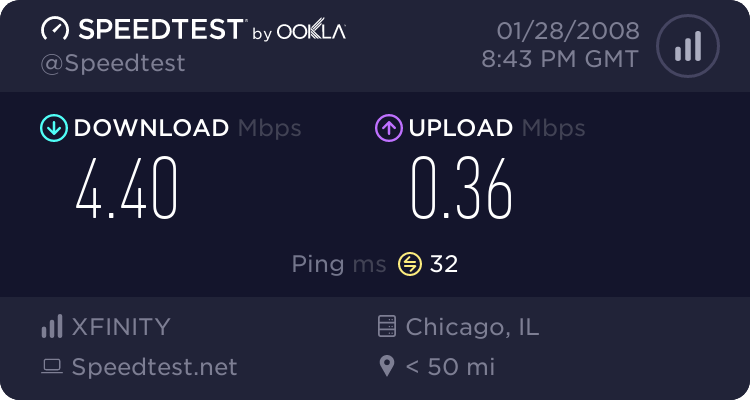 Disappointing speed test for Comcast Internet level that is promised to deliver a 22 Mbps download on March 2, 2009 at 7:20 p.m. Monday. Comcast Speed at 12:44 p.m. Published Monday January 28 2008 1:45 pm. Seemed fast, but numbers don’t show it. SPEEDNET Test for Comcast Thursday A.M. 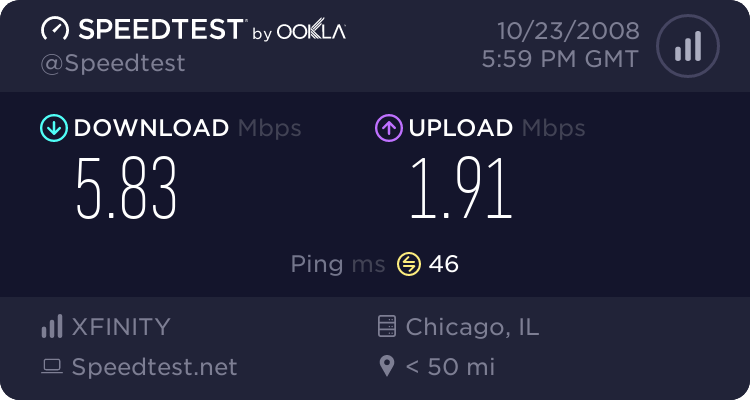 Speed Test for Comcast: Powerboost Not Working? Comcast Powerboost doesn’t seem to be working. Started trouble ticket with Comcast using EVA chat.